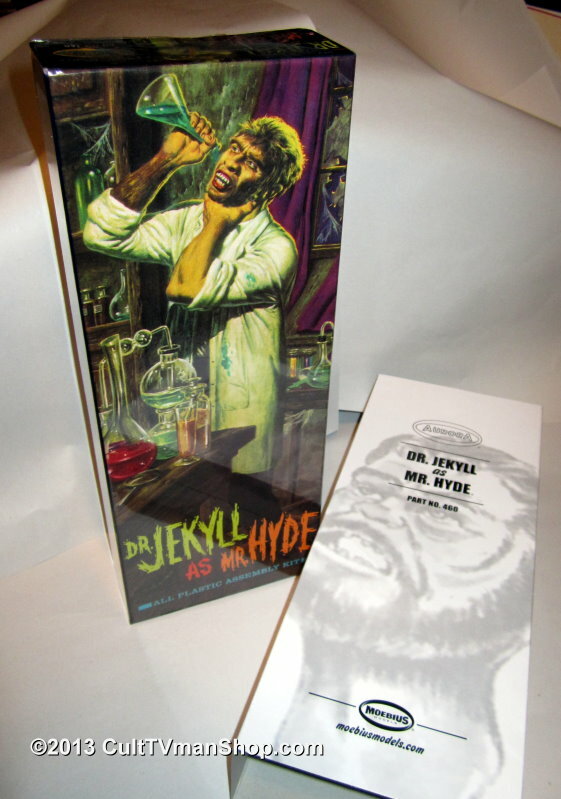 Very special LIMITED EDITION reissue! 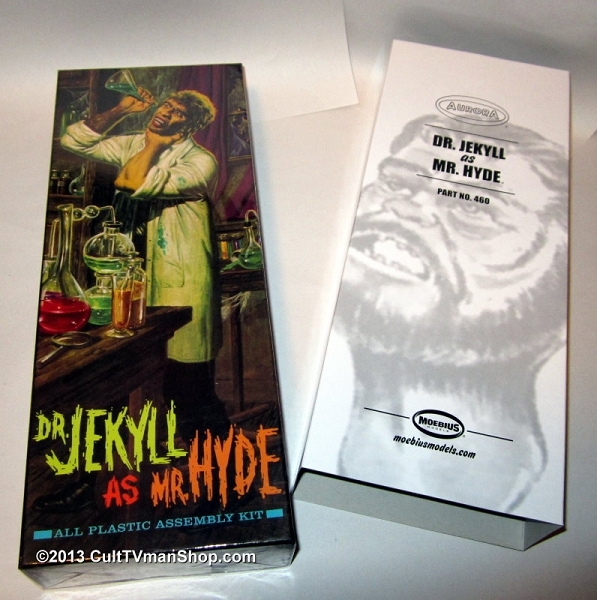 To celebrate their 5th Anniversary, Moebius Models has reissued their very first kit, Dr. Jekyll as Mr. Hyde. This is a special limited edition package. The kit comes in a replica of the original Aurora box, complete with the original Aurora logo. 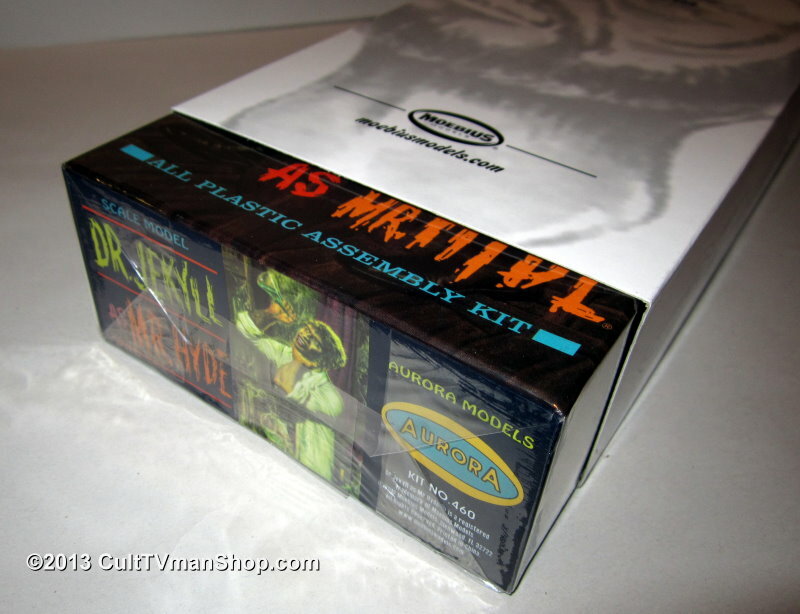 The box is sealed in a folded cellophane wrap, just like the original Aurora kits. And to further enhance and protect your kit, this comes in special commemorative sleeve. 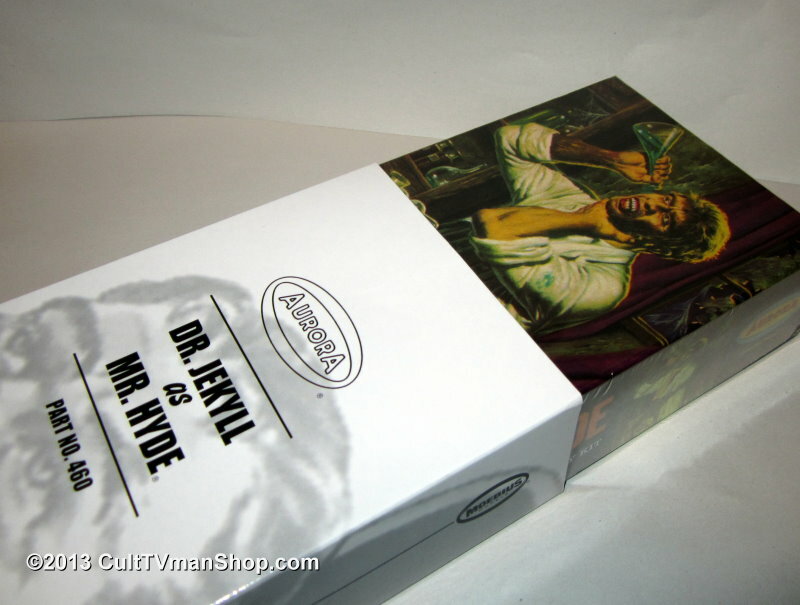 Only 240 of these special editions were produced and they are available exclusively through CultTVman's Hobbyshop.